We equip and encourage Christian editors in cooperative competition through networking. Would you like to brush up on your editing skills or learn something new? Are you wondering if editing is right for you? Are you an established editor looking for some face-to-face connections? Are you an in-house editor seeking an editing community or continuing education? Join us to learn from industry professionals, network with fellow editors (from beginners to seasoned professionals), and meet with the faculty. Connect on our Facebook page. Have some ideas for Nashville? Would you like to join the planning team? Contact us. We’d like to hear from you. PENCON is a division of Christian Editor Network LLC. Selma has thirty years of experience in Christian publishing. 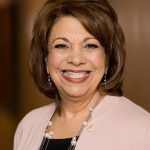 She served in several positions at LifeWay Christian Resources, the largest Christian resource organization in the world, including Chief People Officer and VP of Organizational Development, Editor-in-Chief of HomeLife and Journey magazines, and Senior Executive Vice-President. She is the former President of B&H Publishing Group and led in the launch of B&H Kids. Recently retired, she now serves the Christian community as an executive consultant for LifeWay and is a Bible study teacher and mentor to women. Ready to learn from our faculty right now? are available for instant download. my career. PENCON ranks right at the top.